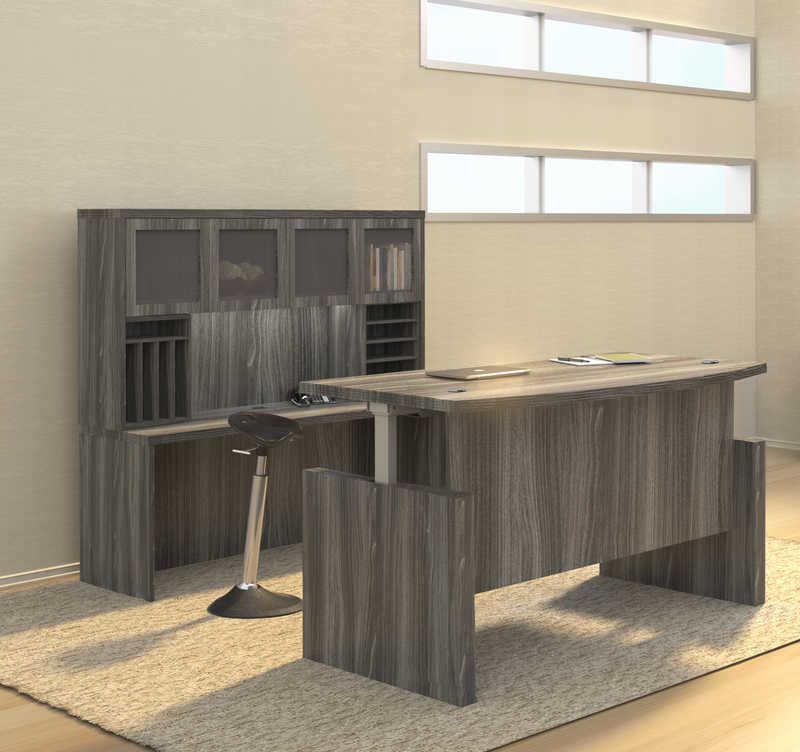 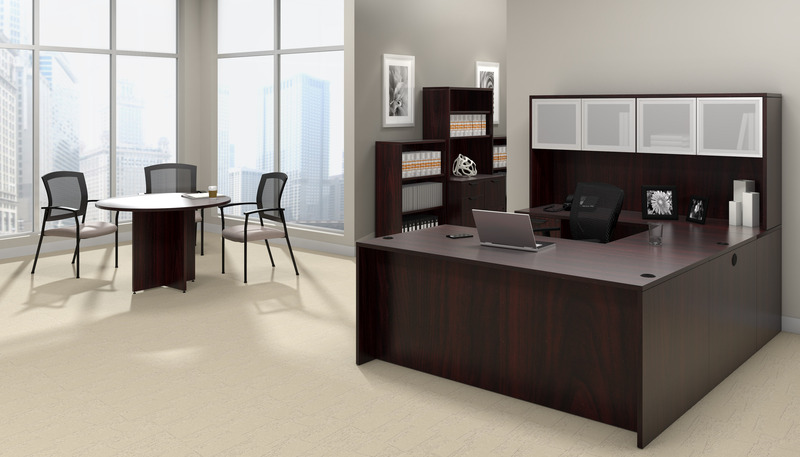 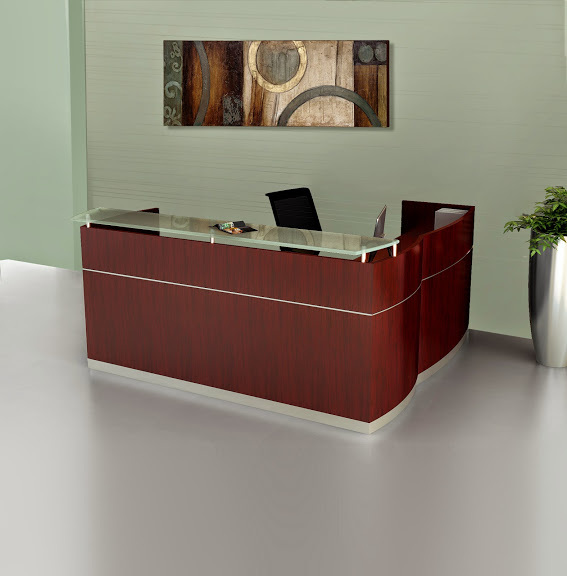 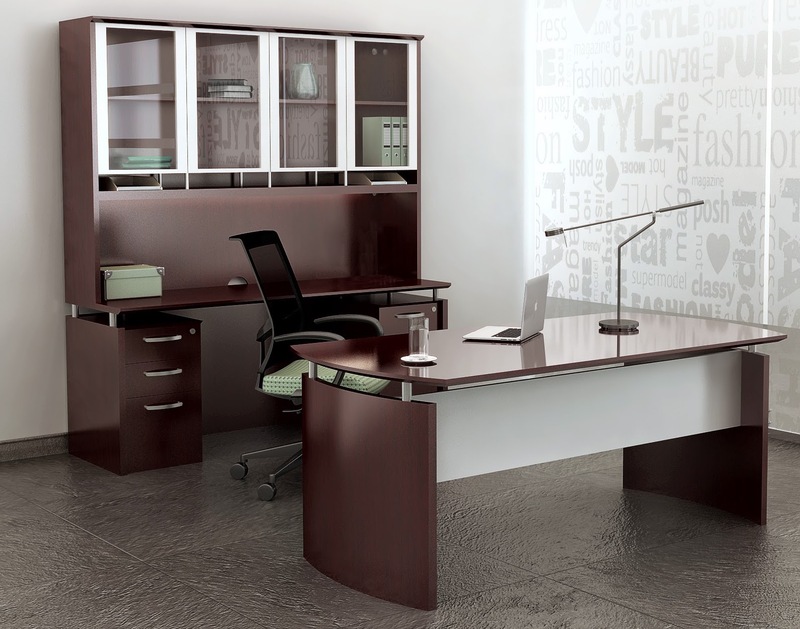 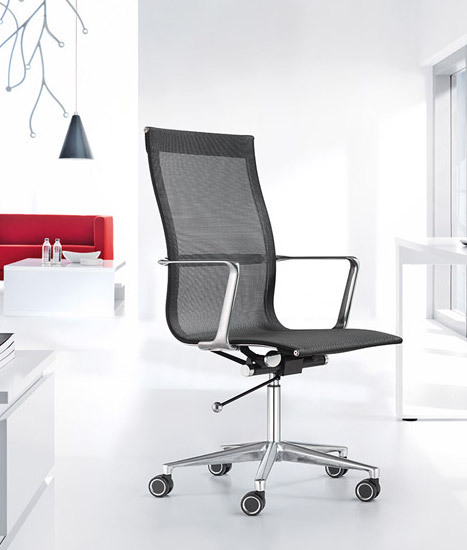 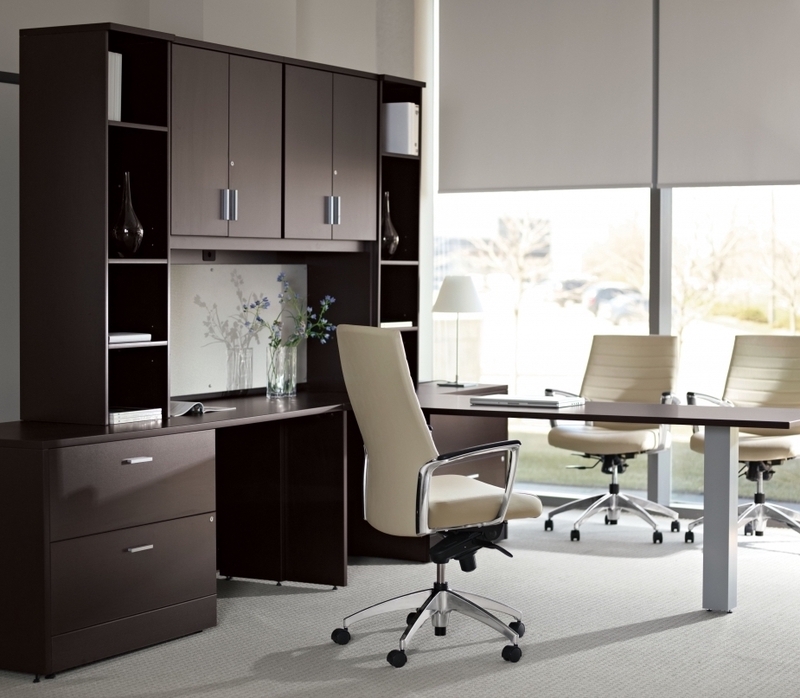 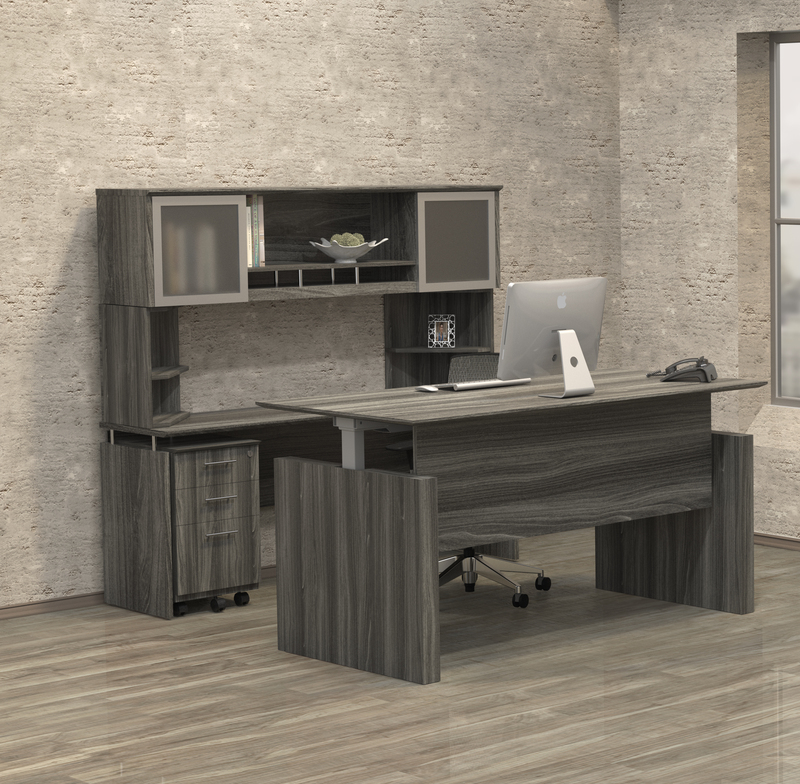 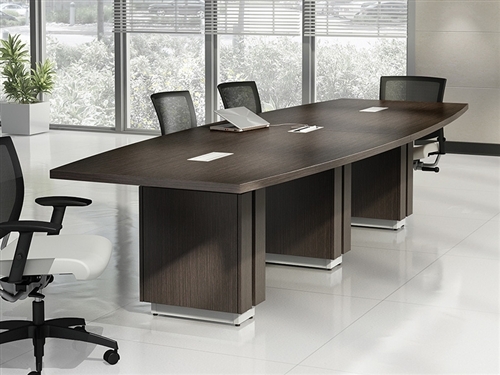 Enjoy the high end appeal and modular versatility of this MNT9 Mayline Medina office furniture set. 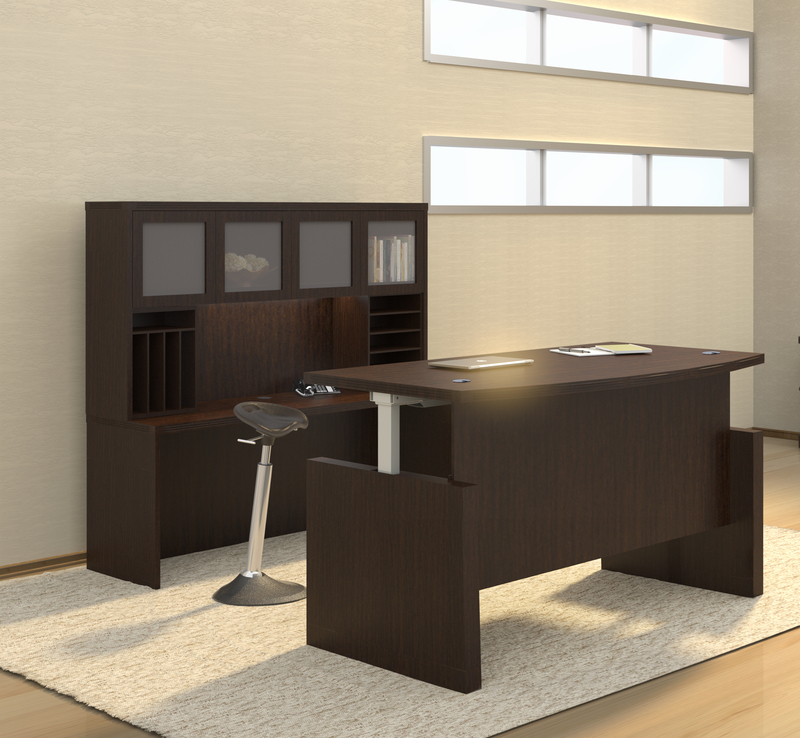 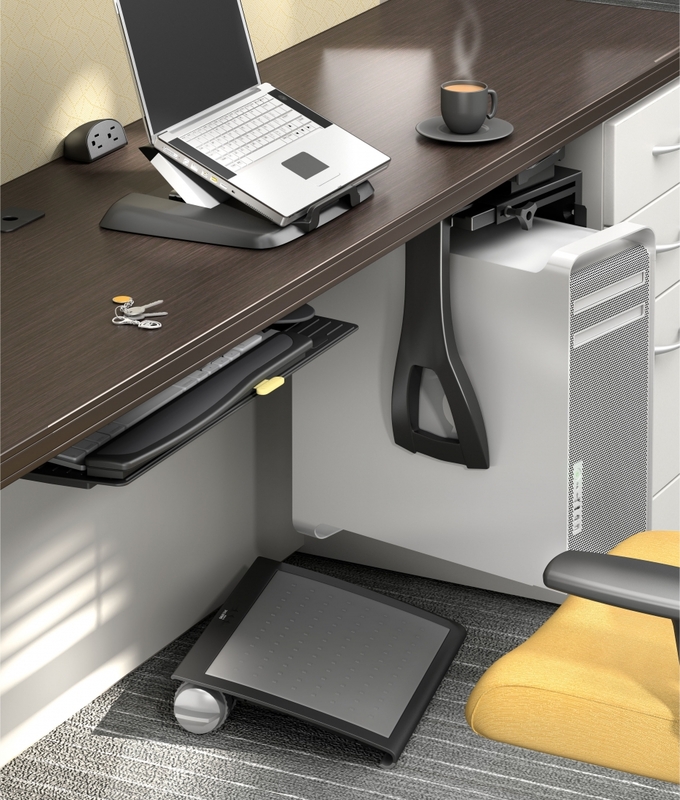 With a 72" wide desk accompanied by surface extensions, operating space is no problem at all. 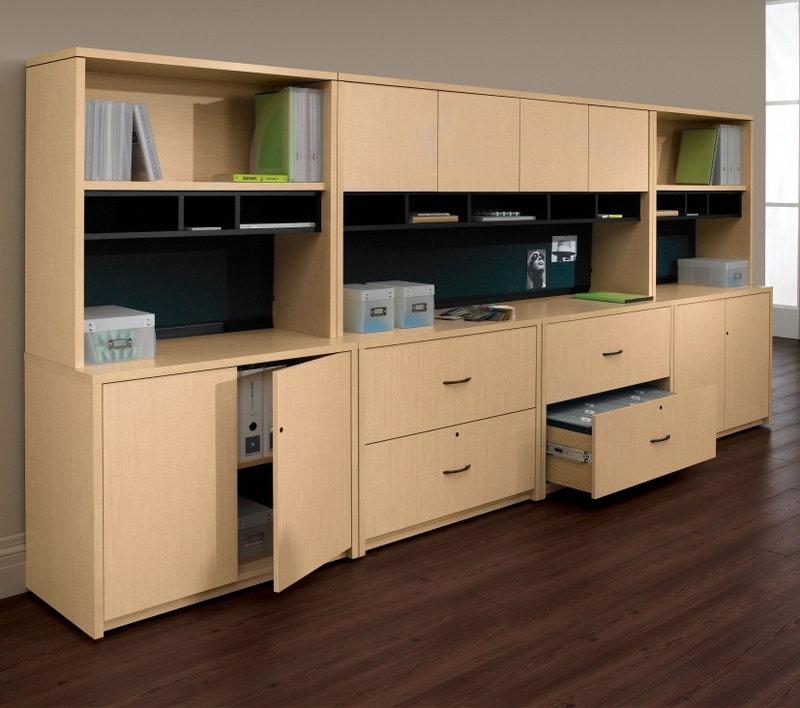 The MNT9 also includes a MVLC low wall cabinet and 2 quarter round bookcases. 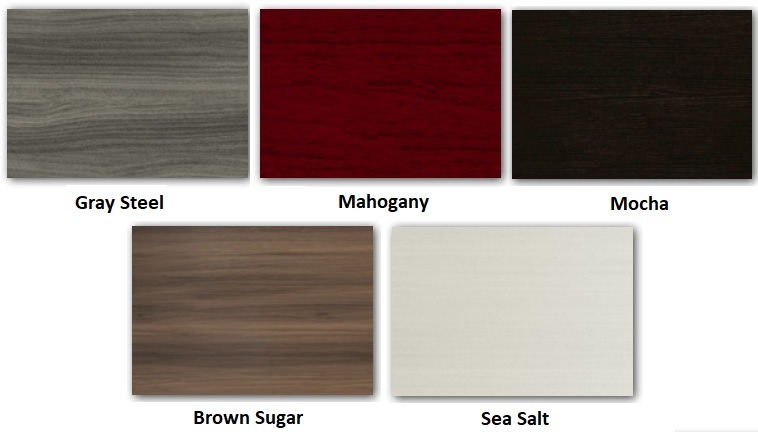 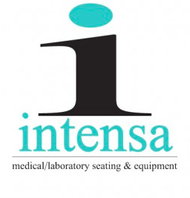 Enjoy this fashionable furniture set in 5 designer laminates.